Tia is a native to NH, but over 10 years ago she made her way out to Montana where she fell in love with the state, bought a home and got married! By the age of 17, Tia was already the manager for a local answering service, by the age of 20 she was managing a Deli in Florida, and at the age of 24 she began a career in the IT world working for a large General Contractor. When Tia relocated to Whitefish, Montana is where her career in website design and marketing began! She immediately was employed by a local Engineering firm to fill an abundance of roles; IT, Marketing & AP/AR. Nobody has ever said Tia doesn't like challenges or stress; she actually thrives off of it all! 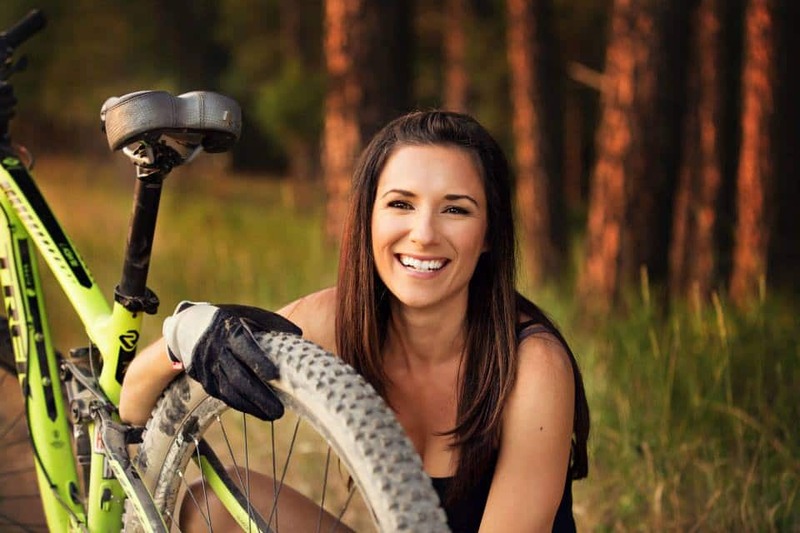 Tia is also President and Co-Founder of 24 Hours of Flathead which is Montana's only 12-hr, 24-hr and adaptive mountain bike race! It's a non-profit bike race that provides recreational adaptive equipment to individuals living in the greater Flathead Valley! You'll find Tia and her family mountain biking and paddle boarding in the summer and on the mountain in the winter! Naomi Morrison is a graduate of Southern Connecticut State University with a bachelor’s in journalism, which she used to further educate herself on thousands of topics as a published newspaper and magazine writer for more than 20 years and continuing. A daughter of a successful small business entrepreneur, Naomi was self-educated on the business front by learning everything she could from her father. For 15 years, she worked as an international-trade and domestic-energy/recycling business executive who was part of a team that grew annual gross start-up sales from six to eight figures in just over five years. Her diverse background also includes founding member of the Columbia Falls Community Garden, Leadership Flathead alumni, public relations and marketing coordinator at North Valley Hospital, and program developer, implementer and educator of an interactive health education program for the Boys and Girls Club of Glacier Country, past President of of Soroptimist International-Whitefish, and past President of the Boys and Girls Club of Glacier Country. Focusing on public relations, Naomi utilizes her writing skills, event planning knowledge, and networking to help businesses succeed. Exceptional communication is one of the most important aspects of a prosperous business. In her free time, she is boating on the river, carving tracks in the snow, camping under the stars and gardening with her husband and two children.